I feel like I have been looking for the perfect watch for so many years now, and I can FINALLY say that I how found it! It's minimal, great quality and not crazy expensive. Inex is a Scandinavian brand, that originally was founded back in 1952 by a Dane called Henning Stæhr. Later on this son, Bjarne Stæhr took over the brand and his Norwegian colleague Frithjof Rasmussen and himself, discussed how expensive watches seem to have become, compared to the quality delivered. So they had a 'vision' and Inex of Scandinavia was born. The characteristics of Inex watches are, that they're classic, functional, innovative and you get quality for your money. Both men and women can wear this watch, since it a unisex watch. The watch comes in different colors to fit everyones liking. You can get it with a gold frame, instead of silver, like mine. It also comes in black, with a black dial and silver hands. The watch feels nice on your wrist, with the soft leather and the skinny case and it's easily done and undone with a buckle. I love how minimalistic this watch is, while still being great quality and with a price that won't leave your wallet burning. It's a classic watch, that won't go out of style for a long time and it can easily be styled with a bunch of different outfits. 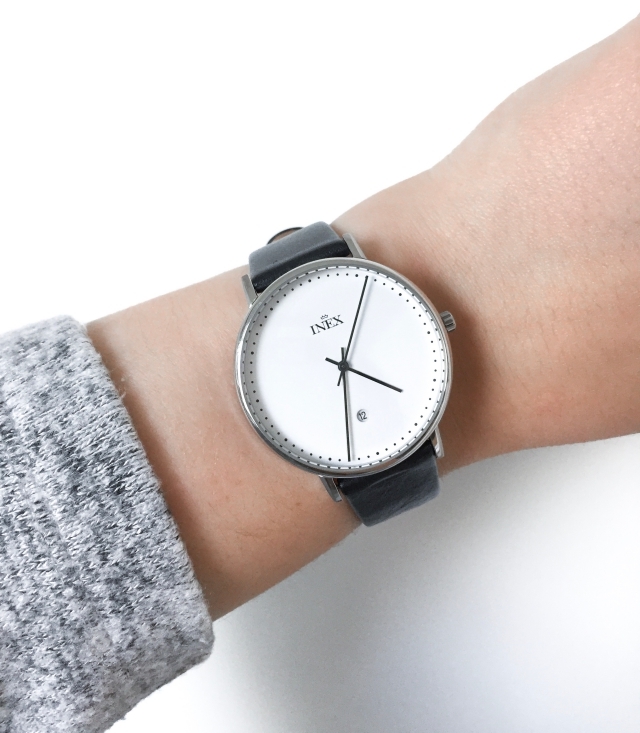 Inex Saphilite Black Leather Watch (798 DKK - £84) can be found in most Danish and Norwegian jewellery stores and on chanti.com.